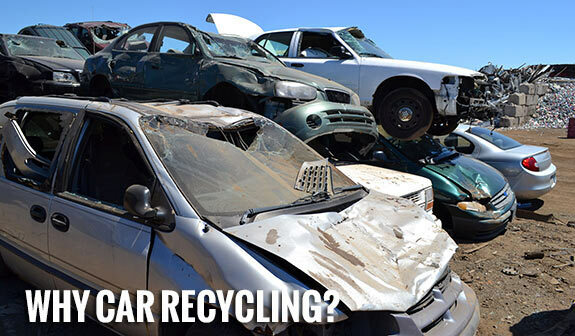 Recycling a junk car in Tarzana: How does it work? Home / junk car / Recycling a junk car in Tarzana: How does it work? Not all parts of a junk car in Tarzana can be used as a replacement for the repair of other cars. The major portion is recycled for steel. An estimate of over 13 million cars is recycled every year for steel, and this is highly beneficial to the environment as per scientists. This process of recycling cars for steel also reduces the cost of steel and the requirement for producing steel. The recycling process of a car is very simple. First of all, it requires the owner of the car to call a junk car removal service who will give you a quote for the junk car in Tarzana. You can also ask them about the requirements of selling junk car in North Hollywood. There are some who would like you to remove the tires and wheels before turning them in. There are others, who might want you to empty the gas tank, and then there are those who just need your vehicle details, name and address while they tow the car for free. The vehicle could be a van, truck, SUV or car. Different towing trucks might be required for different kinds of vehicle. When you give in your automobile’s details junk car buyers would know which towing truck to send. Once the vehicle is towed then it will be sent to the appropriate junkyard for further dismantlement. The parts of the car that can be reused will be removed and resold while the remaining carcass is taken into a large shredder. It takes just a minute to finish the shredding process. The metal is separated using magnets and the remaining parts are disposed as waste. Once the metal is separated it is sent to various plants where they are further processed. This processed steel is then bought by steel companies, automobile manufacturers and other vendors. As mentioned above, this process is highly beneficial for the environment but that’s not all it is also beneficial for the consumers to sell junk car for cash in Los Angeles. The original junk car owner gets cash for the junk car in Tarzana. This amount can be anywhere in between $ 200-$ 500. The amount largely depends on the weight of the car. Big automobiles like an SUV or truck could bring in more money. The process is not very lengthy and the payment is quick. Van Nuys, Encino, Tarzana, Sherman Oaks, North Hollywood, Studio City, Toluca Lake, North ridge, Woodland Hills, West Los Angeles, Venice, Marina del Rey, Calabasas, Beverly Hills, Santa Monica, Malibu, Northridge, Chatsworth, Calabasas, Canyon Country, Castaic, Moorpark, Simi Valley, Thousand Oaks, Burbank, Santa Monica, Long Beach, Beverly Hills, West Hollywood, El Monte, Glendora, Monrovia, Hawthorne, Marina del Rey, Santa Ana, Downey, Hacienda Heights, Yorba Linda Agoura Hills, Altadena, Arcadia, Belmont Shore, Beverly Hills, Burbank, Calabasas, Carson, Catalina Island, Culver City, Dockweiler Beach, Glendale, Hermosa Beach, Hollywood, Inglewood, Long Beach, Los Angeles, Malibu, Manhattan Beach, Marina del Rey, Monrovia, Naples, Norwalk, Palos Verdes Estates, Paradise Cove, Pasadena, Playa del Rey, Pomona, Rancho Palos Verdes, Redondo Beach, Reseda, Rodeo Drive, San Marino, Santa Monica, San Pedro, Sherman Oaks, Signal Hill, Silver Lake, Torrance, Universal City, Venice Beach, West Hollywood, Westlake Village, Watts, Whittier, Alhambra, Arcadia, Artesia, Avalon, Azusa, Baldwin Park, Bell, Bellflower, Bell Gardens, Beverly Hills, Bradbury, Burbank, Calabasas, Carson, Cerritos, Claremont, Commerce, Compton, Covina, Cudahy, Culver City, Diamond Bar, Downey, Duarte, El Monte, El Segundo, Gardena, Glendale, Glendora, Hawaiian Gardens, Hawthorne, Hermosa Beach, Hidden Hills, Huntington Park, Industry, Inglewood, Irwindale, La Canada Flintridge, La Habra Heights, Lakewood, La Mirada, Lancaster, La Puente, La Verne, Lawndale, Lomita, Long Beach, Los Angeles, Lynwood, Malibu, Manhattan Beach, Maywood, Monrovia, Montebello, Monterey Park, Norwalk, Palmdale, Palos Verdes Estates, Paramount, Pasadena, Pico Rivera, Pomona, Rancho Palos Verdes, Redondo Beach, Rolling Hills, Rolling Hills Estates, Rosemead, San Dimas, San Fernando, San Gabriel, San Marino, Santa Clarita, Santa Fe Springs, Santa Monica, Sierra Madre, Signal Hill, South El Monte, South Gate, South Pasadena, Temple City, Torrance, Vernon, Walnut, West Covina, West Hollywood, Westlake Village, Whittier,and Southern California Cities.